I had to say goodbye to an old friend yesterday. It was really sad. I have known this friend for 14 years. We met at my birthday party in 2000, and since then, we have spent almost every major holiday together. We typically got together 3 times per week. Whenever people came to the house, this friend was there, and was almost always the center of the party. I will miss this friend. I actually wept when I had to say goodbye, and as I write this now I am getting somewhat choked up. This friend was my Weber Performer grill. And no, I'm not joking about getting choked up. I have always loved grilled food, but I had a yin-yang struggle with the flavor of charcoal and the convenience of gas. In July of 2000, my wife and my father-in-law went in together and got me a Weber Performer. Just a few months before, Weber Grills introduced the Performer grill-- a charcoal kettle grill with a propane ignition, essentially obliterating both my yin and my yang. 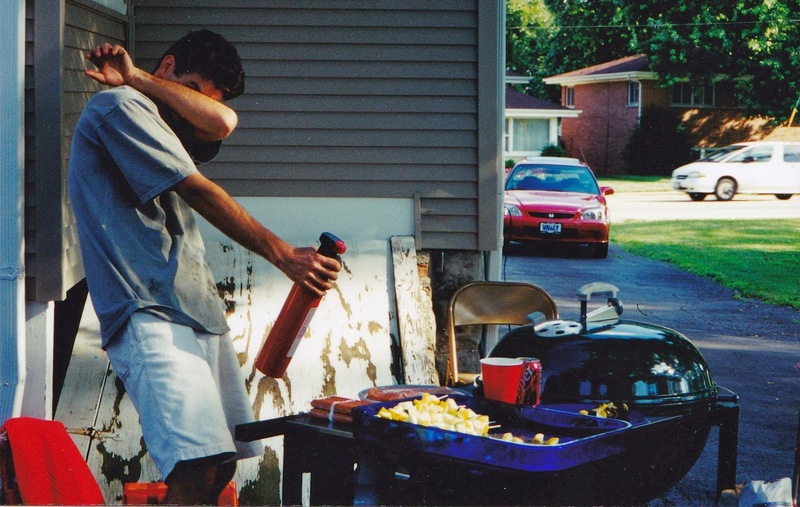 I still remember sitting in Hillside, Illinois, knowing that my wife had cooked up something. I saw my father-in-law pull into our long driveway pulling a trailer with a tarp. Imagine my surprise when I saw this stainless steel and green enamel beauty. Now imagine my surprise when I found out that this was my ideal grill and my family had pulled together to get it for me. Then pretty much everyone I knew showed up for a BBQ Birthday Bash! I still have the fire extinguisher that a youth group student, Kim, got for me because she figured I would blow myself up with the grill. And the vinyl picnic tablecloth (or is it tablevinyl?) that Monica got me. I still have memories of sitting around in a circle in our yard, talking with friends, and regularly asking my father-in-law, Roark, what I could use this grill tool for or how I could utilize this accessory. You see, I was a grill novice, and Roark was my mentor. Over the years, I perfected the charcoal grill. I added a rotisserie, allowing us to grill whole turkeys at Thanksgiving and lamb roasts at Easter. One time I had a gallon of flat beer that a friend gave me from an Oktoberfest part. Not knowing what to do with it, I soaked a beef roast in it for a day and rotisseried it. Wow! It was amazing. I learned that grilling in Chicago in December is possible, but it takes a lot of charcoal and a lot of time. I also learned that grilling in Phoenix in July is possible, but the charcoal is unnecessary and is really just for affect. I learned how to smoke salmon on it, adjusting the temperature until it was perfect for smoking, leaving the salmon on it for eight hours. That was a life-changing experience. She still looks great after 14 years. I spent so much time cleaning that grill. The newer Weber Performers have plastic tops, but mine was the original Weber Performer. I cleaned and polished the stainless steel until it reflected the green enamel top. I regularly polished the enamel top to keep it looking like new. When I saw other people with Weber grills that were rusty and had holes, my pride swelled at my Weber Performer. For a 14 year old grill, it looked almost brand new. One would never have known the hundreds of hours I spent grilling on it...the abuse I put it through, grilling in snow and blazing heat and downpours. And then we moved last year, and our house has a built in grill. My Weber Performer sat at the side of the house, protected and tarped, alone but not forgotten. I always thought that I would use it when I had a large number of people over, but I never did. After a year, I decided that it was time to say goodbye. And so I did. I got choked up as I cleaned the stainless steel one last time. When a person responded to my Craigslist post, I immediately regretted listing this grill. As I loaded the grill into the back of his truck, waves of emotions, memories of all of the family gatherings and experiences, washed over me. And as I came inside, I wept. I wept for the grill that taught me to love grilling. I wept for the grill that I used for consolatory and celebratory food. Even as I write this, I wonder if I did the right thing. My only hope is that this grill will bring as much joy and as many memories to its new family as it did to mine. I will miss you, old friend. Awww, this is touching! I think you did the right thing--sort of like in Toy Story 3 when Andy passes his toys on to Bonnie. Sure he could've saved them for the future, but this way they kept getting a lot of good use. I'm sure your grill is smiling on the inside at all the good memories. Wonderful. I think I might need to go out and buy Toy Story 3 as a memorial to the Performer. It would go nicely with the bottle of scotch that I bought for that same purpose. Way to be brave, Renaissance Dad. What does Renaissance mean? I'm glad I could be your mentor but you have moved well beyond my skill and experience on the Weber. 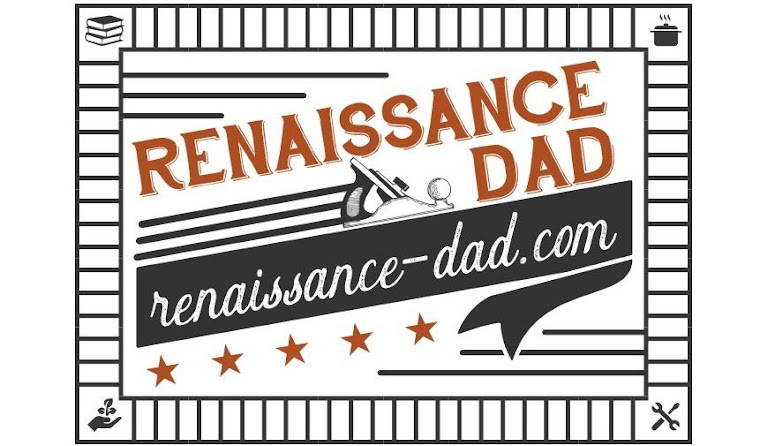 I refer you to the February post titled "What is a Renaissance Dad?" I think that might clear up your question. And as far as the student becoming the master, I don't think that Daniel San ever could have beaten Mr. Miyagi, nor could Luke Skywalker have beaten Yoda. I CAN'T BELIEVE YOU GOT RID OF YOUR WEBER!